Learn about the Wavefront AWS App Mesh Integration. AWS App Mesh is a service mesh that allows you to monitor and control communications across microservices applications on AWS. Setting up your environment to send AWS App Mesh metrics to Wavefront. Setting up your environment to send AWS App Mesh traces to Wavefront. 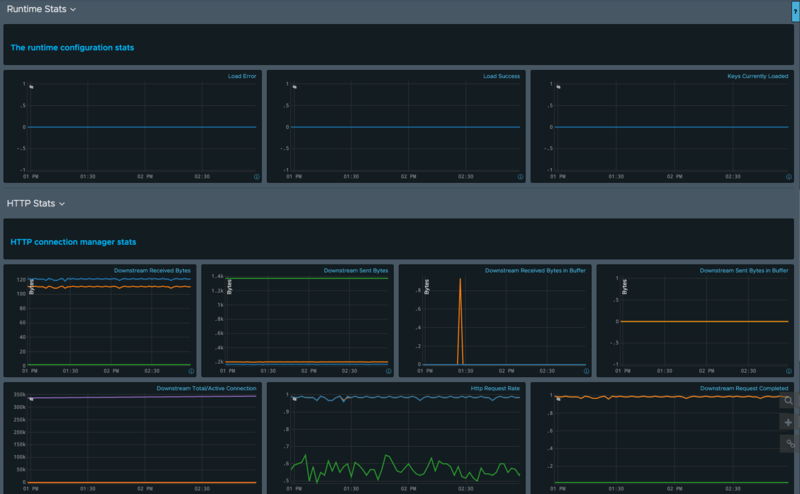 This integration uses the Wavefront Kubernetes Collector to send metrics. 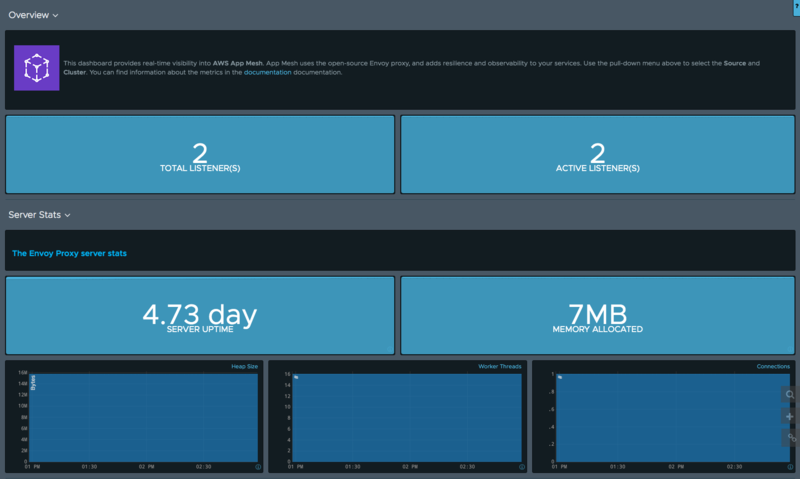 The collector can send metrics to Wavefront using either the Wavefront proxy or direct ingestion. The following instructions are for reporting metrics. To report traces, use the AWS App Mesh tracing setup instructions below. Follow these steps to deploy a Wavefront proxy. If you plan on sending metrics directly to the Wavefront service, this step is not required. If you plan to send traces, use the proxy set up instructions in the tracing section below. You can deploy the collector using kubectl. To send metrics to Wavefront, set up the collector with Auto Discovery. Refer to the collector [documentation] for configuration details and installation instructions. Also, Refer to the Auto Discovery [documentation] to set up collector with Auto Discovery. A sample deployment to deploy the collector with discovery rules can be found here. The following instructions are for reporting traces. To report metrics, use the AWS App Mesh metrics setup instructions above. Follow these steps to deploy a Wavefront proxy. As part of the process, uncomment the appropriate lines to enable Zipkin/Istio traces. Use a proxy version 4.35 or later. Follow the Envoy documentation to set up Envoy proxy to collect and report Zipkin traces to a Zipkin cluster. Modify the Zipkin cluster to point to the Wavefront proxy. Look at the sample deployment here.